Getting lost in Singapore has its merits! 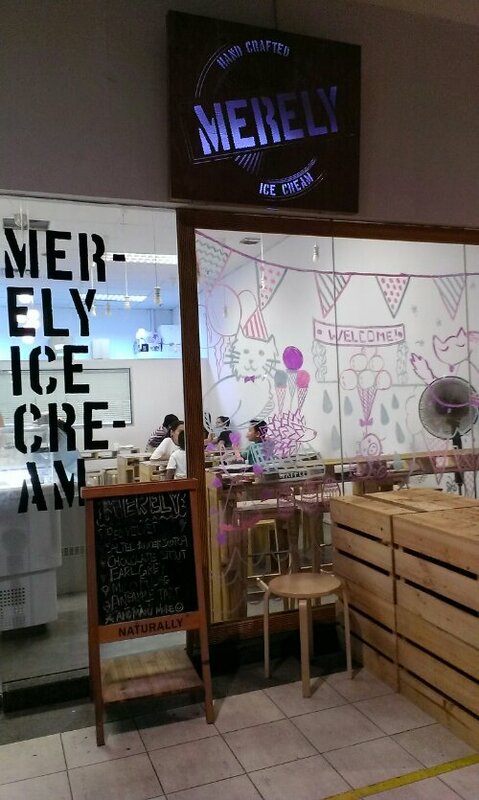 Look what I chanced upon — Merely Ice Cream at Sunshine Plaza! Best thing about it? It’s a handmade ice cream shop! Located just a road across Nanyang Academy of Fine Arts, I reckon this is the only ice cream shop located near town that handmakes their ice creams! Salted butterscotch. $3.30 for a single scoop. 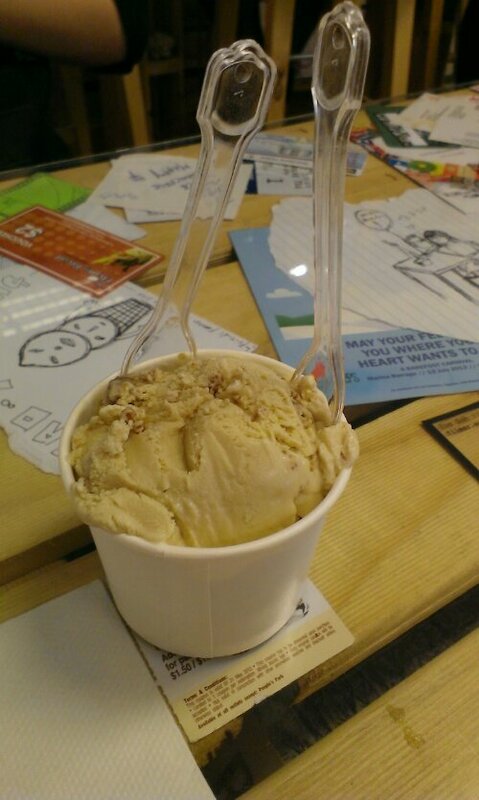 It was a bit too sweet for my liking, but I can’t complain much since afterall, it’s butterscotch flavoured! I would want to try the pandan ice cream the next time I’m there. Saw bits of pandan cake in the ice cream; am eager to find out how it tastes like! The ice cream was filled to the brim. My money was worth it! Plus, I think because it’s opposite NAFA, you would enjoy looking at the doodles that were placed under the glass pane on the table by their customers. I definitely enjoyed looking at the many designs of namecards that were left behind, and I was awed to see so many local talents (videographer, editor, visual arts…).